Nathan BALCOM (1741 – 1787) was Alex’s 6th Great Grandfather, one of 128 in this generation of the Shaw line. Nathan Balcom was born 1 Jan 1741 in Attleboro, Bristol, Mass. His parents were Joseph BALCOM and Mary PARMINTER He married Sarah JEWELL on 12 Jan 1768 in Attleboro, Mass. Nathan died in 1787 in Attleboro, Mass. Nathan Balcom was part of Capt Sedgwick’s company, Col. Hinman’s 4th Connecticut regiment which went from Winchester CT to Ticonderoga in 1775 and took part in the invasion of Canada. Sarah Jewell was born 5 Jul 1742 in Rumford, Merrimack, New Hampshire. Her parents were Thomas JEWELL and Judith LANCASTER. Sarah died about 1847 at the age of 94. Children of Nathan and Sarah all born in Attleboro, Mass. A Nathan Balcom was part of Capt Sedgwick’s company, Col. Hinman’s regiment which went from Winchester CT to Fort Ticonderoga in 1775. 4th CONNECTICUT REGIMENT – Authorized 27 April 1775 in the Connecticut State Troops. Organized 1-20 May 1775 to consist of ten companies from Litchfield and Hartford Counties. Each company to consist of 1 captain or field grade officer. 2 lieutenants, I ensign, 4 sergeants, 4 corporals, 1 drummer. 1 fifer, and 100 privates. COMMANDER: Colonel Benjamin Hyman (Hinman) May 1, 1775-December 20,1775. Adopted 14 June 1775 into the Continental Army. Took part in the Invasion of Canada, Battle of Quebec (Autumn and Winter 1775). Two companies from this regiment were garrisoned at Fort Ticonderoga. Disbanded in December 1775 in Canada, less two companies disbanded 19-20 December 1775 at Cambridge, Massachusetts. These latter two were Lieutenant Colonel Ozias Bissell’s and Captain Hezekiah Parsons’ Companies, which stayed behind to serve at the Siege of Boston. The Invasion of Canada in 1775 was the first major military initiative by the newly-formed Continental Armyduring the American Revolutionary War. The objective of the campaign was to gain military control of the British Province of Quebec, and convince the French-speaking Canadiens to join the revolution on the side of the Thirteen Colonies. One expedition left Fort Ticonderoga under Richard Montgomery, besieged and captured Fort St. Johns, and very nearly captured British General Guy Carleton when taking Montreal. The other expedition left Cambridge, Massachusetts under Benedict Arnold, and traveled with great difficulty through the wilderness of Maine to Quebec City. The two forces joined there, but were defeated at the Battle of Quebec in December 1775. Montgomery’s expedition set out from Fort Ticonderoga in late August, and began besieging Fort St. Johns, the main defensive point south of Montreal, in mid-September. After the fort was captured in November, Carleton abandoned Montreal, fleeing to Quebec City, and Montgomery took control of the city before heading for Quebec with an army much reduced in size by expiring enlistments. There he joined Arnold, who had left Cambridge in early September on an arduous trek through the wilderness that left his surviving troops starving and lacking in many supplies and equipment. Nathan Bolkcom, when he was a young man, concluded he would go away from home to seek his fortune, which he apparently soon found and brought back with him in the form of a wife, Sarah, —well-named Jewell, —of Haverhill. She came to town with her husband at the age of twenty-four and lived to be ninety-four, in all those seventy years returning but twice to her native town. [Haverhill and Attleboro are about 75 miles apart.] The women of those days did their full share in the pioneer work in which the men were engaged and found enough to occupy their minds and hands in the daily duties of their humble homes. It is a pity that this woman who was crowned with almost a hundred years of life should have no lasting memorial tablet inscribed with some tribute to her deeds and virtues. It is just south of the house of the late Lorenzo Morse, on the west side of the road, and perhaps five or six hundred feet back from it. The space is about fifty feet square and is on the summit of a little knoll. It was formerly walled in, and remnants of the wall still remain on two sides, the other two being bouuded by a rail fence. The place is wholly given over to the growths of nature, is now onlv a bit of wild woods. The graves are mostly leveled to the surface, scarcely more than six or eight indications of mounds being visible. Two rough, unlettered stones, no doubt marking the head and foot of a grave, are standing; in another place a single stone, and in still another a small bowlder, which may also have been a grave-mark. Only three inscriptions are to be found. Ou a piece of stone lying on the ground can be read. ” Mrs. Hannah Hall, iEt. 55.” The stone is so narrow that only one word could be cut on a line, and the lower part of it, still embedded in the ground, crumbled into fragments when an attempt was made to raise it, so the remainder of the inscription could not be ascertained. This Mrs. Hall, wife of Ephraim Hall, is thought to be the first person buried here. One Hannah Bolkcom was buried here, and in the southeast corner of the little yard a pair of twins and another young child of the same name. Nathan Bolkcom and Sarah, his wife, were buried here, and Betsy Bolkcom, the latter the last to be interred, and about forty or fifty years ago. The most of the facts relating to this spot were obtained from Mrs. Morse, widow of the late Lorenzo Morse and granddanghter of Nathan Bolkcom. The only other burial, so far as recalled, was that of an infant danghter of Mr. and Mrs. Morse, who died January 3, 1839, at the age of 14 months and 9 days, in the midst of a storm so severe as to render it impossible to get to the cemetery where other members of the family are buried. Stones were erected to nearly if not quite all who were buried here. but all excepting those mentioned have entirely disappeared and probably by being destroyed, for when the wall was broken down they began to share its fate. This vicinity is the ancient settling-place of the Bolkcoms. Of the three brothers who came early to this country, one settled here, and large quantities of land were cleared in time by members of the family who once owned ” down to the Fisher neighborhood.” One of them worked for others at this occupation, and was paid in land, one acre for one day’s work. Huldah’s husband Simeon Wight was born about 1775 in Massachusetts. Huldah was buried in the family graveyard. Huldah and Simeon’s marriage also appears in the vital records of Attleboro and Wrentham. In the 1830 census, Simeon and Huldah were living in Attleboro, Bristol, Mass. with one other woman age 20-29. The only son of Simon & Huldah Wight. Blessed are the dead who die in the Lord..
An unlettered stone marks the foot of this grave. Sally Wight, sister to the above..
Betsey never married. In the 1850 Census, Betsey Balcom was a 78 year old single head of household living next to her niece Mary Balcom Morse and Lorenzo Morse. Since the family grave yard was just south of the house of the late Lorenzo Morse, on the west side of the road, and perhaps five or six hundred feet back from it, my guess is Betsey lived in the same home all her life. 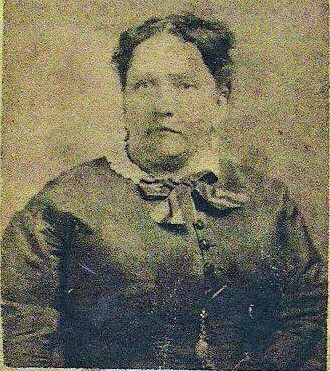 Jesse’s first wife Margaret Getchell was born in 1770 in Vassalboro, Kennebec, Maine. She married Jesse in 1792 and they had five children. Margaret died in 1813. Jesse’s second wife Olive Everett was born 9 Apr 1786 in New Hampshire. Her parents were Lt. Levi Everett and Lucy Titus. She died at Lowell, having had six children, — Everett, Jesse, George, Julia, Lucinda, and one other who d. young. Jesse’s third wife, Mrs. Eliza Hartford (b. 1803 New Hampshire) of Lowell, Massachusetts presented him with one child. Jesse was listed as a laborer in the 1839-1851 Lowell City Directories. Maybe this was his son Jesse Jr. In the 1850 census, Jesse, Eliza and Sophia were living in Lowell, Mass where Jesse was a laborer even though he was 77 years old..
i. David Balcom b: 1792 in Vassalboro, Kennebec, Maine; d. Dec 1870 Sharon, Norfolk, Massachusetts of convuls ions; m1. Elizabeth Carpenter; m2. Betsey Derby. (b. 1796 Mass. – d. 22 Aug 1880) In the 1850 census, David and Betsey were farming in Weston, Middlesex, Massachusetts. His son Hamilton (b. 1827 Maine) was a pattern maker. ii. William Balcom b: 3 Jan 1795 in Vassalboro, Kennebec, Maine; m. Sophia Lacy (b. 1797 New York – d. aft. 1860) In the 1860 census, William and Sophia were living in Bellingham, Norfolk, Mass with their son-in-law and daughter Benjamin and Sophia Woodbury. iii. Sally Balcom b: 1801 in Vassalboro, Kennebec, Maine’ d. 1880 in Pawtucket, Providence, Rhode Island; m. Ezekiel Mason Cornell (b. 1801 in Milford, Worcester County, Mass) Ezekiel’s parents were Philip Cornell and Dorcas [__?__]. v. Mary Balcom b: 15 Oct 1812 in Vassalboro, Kennebec, Maine; d. Aft. 1880 census Attleboro, Mass; m. 18 Feb 1834 North Attleboro, Bristol, MA to Lorenzo Morse (b. 01 Dec 1812 in Foxboro, Norfolk, MA – d. Aug 1892); His parents were Elisha Morse Jr. and Sally Littlewood. In the 1860 census, Lorenzo and Mary were farming in Attleboro, Bristol, Massachusetts with four children at home. Mary was interviewed by John Daggett for his 1894 book A sketch of the history of Attleborough: from its settlement to the division. vi. Levi E. Balcom b: 24 Dec 1817 in Attleboro, Bristol, Massachusetts; d. 15 Jun 1850 in Lowell, Middlesex, Mass. ; m. 18 Apr 1841 in Lowell, Massachusetts to Lois Nichols Rogers (b. 245 Apr 1822 in Holden, Worcester County, MA – ) In the 1841 Lowell city directory, Levi E was a laborer, h Lamb’s Court, Chapel Hill. ix. Jesse Balcom b. 1819 Sutton, Merrimack, New Hampshire; d. 1908; m. 27 Jan 1849 Lowell, Mass. to Mary Clarissa Hedges (b. 3 Jul 1822 in Fairly, Vermont – d. 26 Mar 1883 in Alto, Lee, Illinois) Mary’s parents were Horace Hedges (1791 – 1830) and Clarissa Wright (1783 – 1835). Mary’s brother Jeremiah married Jesse’s sister Julia Ann (See below). In the 1870 census, Jesse and Mary Balcomb were farming near Rochelle, Alto, Lee, Illinois. x. Julia Ann Balcom b: 1827 in Sutton, Merrimack, New Hampshire – d. 30 Mar 1896; m. 7 Sep 1845 in Lowell, Middlesex, Massachusetts to Jeremiah Hedges (b. 15 Jul 1819 in Chelsea, Orange, Vermont – d. 15 Feb 1888 in Clinton, Barron, Wisconsin) His parents were Herman Hedges and Clarissa Wright. In the 1880 census, Thomas and Lucinda were living in Lowell, Middlesex, Mass where Thomas was a laborer. xii. Sophia Balcom b: 1840 in Lowell, Middlesex, Massachusetts; m. 14 Nov 1861 in Fall River, Bristol, Massachusetts to John F. Thorpe (b. 1837 ) In the 1880 census, John and Sophia were living in Taunton, Bristol, Massachusetts where John was a waste dealer. They did not have children. John’s wife Sarah Everett was born 22 Feb 1785 in Mass, Her parents were William Everett and Sarah Richards. Sarah died 27 May 1876. According to A First Book of the Balcombe Family, John Balcom and Sarah Everett were married 20 May 1808, not 20 May 1806 as indicated in the IGI. Also, according to the historian of Wayne County, New York, John Balcom is listed with his wife and children in the 1830 census of Palmyra, but does not appear in the 1840 census. The only Balcom in Palmyra in 1840 is Jesse, son of John Balcom, with his wife and two small children. If the family tradition is correct and John did die in Palmyra, he may have been visiting Jesse and then been taken back to his home for burial, as there is no burial record in Palmyra for either John Balcom or his wife. Their daughter Sarah Ann Balcom was born 14 Jun 1845 in Geneva, Walworth, Wisconsin. John was a stone mason. The 1910 census inlcudes Sarah A. (age 93, born New York) and Carilla A. Herion age 40, born New York, servant). The census states her only child was not living. In the 1860 census, Hiram and Catherine were living in Malta, DeKalb, Illinois with their children Lydia J. (age 18), Hannah E. (age 15), William M. (age 12), George H. (age 10) and Mary C. (age 7). All were born in New York. He was a stone mason. Hiram registered for the draft in Jun 1863 Malta, DeKalb, Illinois at the same time as his brother George W.
A Hiram G. Balcom died 9 Jun 1864 while serving with the 1st Iowa Cavalary. He is buried in the Little Rock National Cemetery. 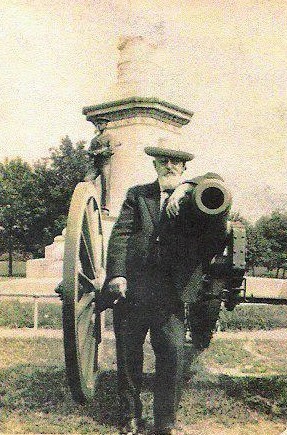 The Civil War Pension Record for Hiram indicates his wife was Martha A. Balcom, and a guardian, M. A. Rick, was acting as guardian for Hiram’s children. During a visit to the US National Archives, the transcriber requested his Civil War Pension File, but received a note back indicating that it had been removed from the archives prior to 1910 and had not been returned. I think the Hiram Balcom that died in Livingston, New York, lived there in the 1870 census with his wife Betsey and an entirely different family. vi. Emily Balcom b: 3 Sep 1821 in Stephentown, Rensselaer, New York; d. 11 Sep 1848 in Mukwonago,Waukesha,Wisconsin; m. c. ABT 1841 to James B Stillwell (b. 19 Dec 1816 New York – d. 9 Dec 1876 New Richmond, St Croix, Wisconsin); James parents were William W. Stillwell and Rebecca Schenck. James sister Rhoda married Emily’s cousin John Everett Balcom who also moved to Wisconsin (see above). In the 1850 census, James was living with his brother William’s family in Mukwonago, Waukesha, Wisconsin. In the 1860 census, Joseph and Caroline were farming near Orleans, Hopewell, Ontario, New York. According to family tradition, George walked from New York to Illinois. At that time, bridges were far apart, so whenever a stream was too deep to wade, he took off his clothes, tied them on his head, and swam across. 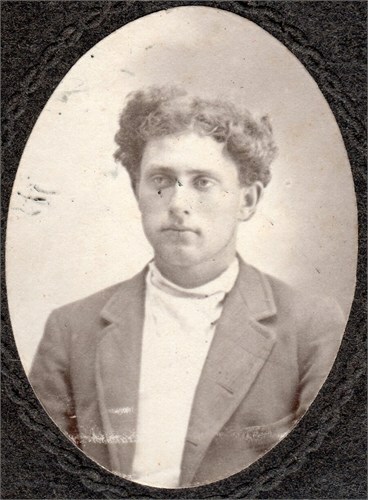 George Balcomb (age 22, born New York) is enumerated in the 1850 census as a laborer on the farm of Holmes Hammond in Mukwonago, Waukesha County, Wisconsin. This farm was the farm located next to that of George’s brother John Everett. George settled in DeKalb County, Illinois before 1851, as he is recorded as purchasing land (3+ acres) on 6 Nov 1851 from Clifford and Eliza Smith. On 14 September 1859, George and Ann sold land in Malta Township (159+ acres) to William Moor of Ontario County New York, described as NW fractional quarter of Section 1 in T-40, R-3-E. In April 1865, Ann Balcom purchased land in Malta Township (40+ acres) by auction bid from George G. Thompson, guardian of the minor heirs of Robert Thompson. On 20 August 1885, Oscar and Alice Balcom (brother and sister?) sold their interest in property in Section 2 in Malta Township to George Balcom. George W registered for the draft in Jun 1863 Malta, DeKalb, Illinois at the same time as his brother Hiram. In the 1870 census, George and Soppia were farming in Malta, Dekalb, Illinois with five children at home ages 6 to 15. In 1881, George and his second wife, Sophia Cook (b. 1835 New York), moved to Marshall County Iowa. At the time of Sophia’s death in 1889, George is a physician. In his obituary, his occupation was listed as “a magnetic healer.” George died at the age of 75 years due to blood poisoning resulting from small pox. This entry was posted in -8th Generation, 90+, Line - Shaw, Veteran and tagged Invasion of Canada 1775. Bookmark the permalink.